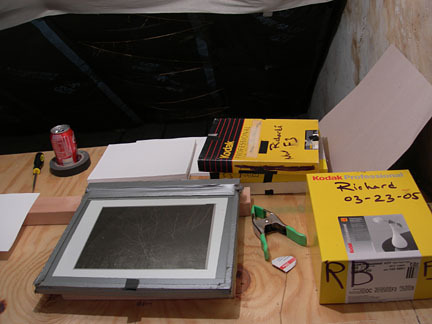 I have needed to build a new darkroom for every house I moved into for the last six or seven years. Some have been nicer than others–with running water and heating/air conditioning—and some have been in nasty, dank basements, or ones so small I needed to do a week of crunches before I could develop my films. 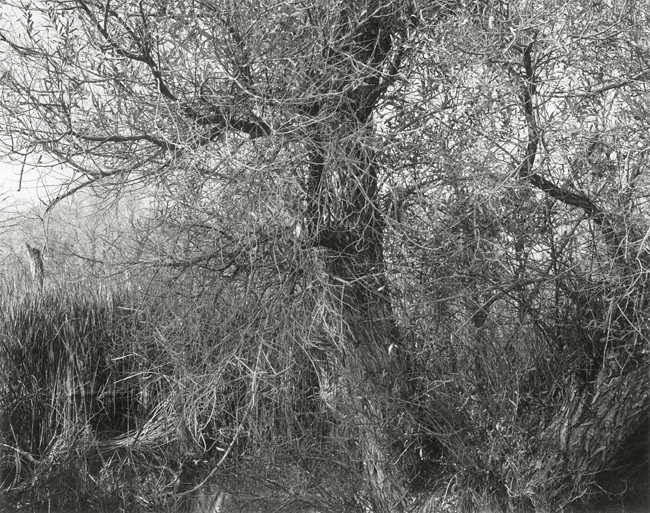 Last night, I printed for the first time in my new darkroom I just set up in the attic. It does not have running water, and I have to carry it up a flight of stairs, and commandeer the bath tub to set up the print washer. 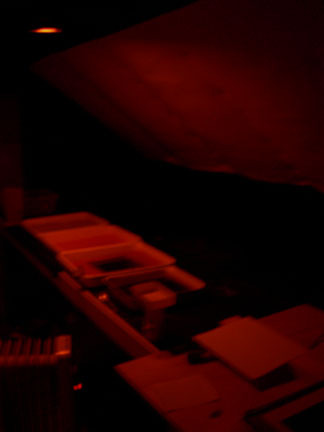 But, it feels good, and because of that, I feel like I will be more productive than in some of my previous darkrooms. It kindof reminds me of the forts I used to build with friends as a little kid—using sheets, books, the coffee table—whatever was on hand. And that is the kind of the spirit that went into this one. It really made me reconnect with what got me so excited about photography in the first place. Not to sound cliche, but having an image appear on paper with nothing more than light and a few chemicals is sort of magical—even more so now that I am actually making beautiful prints (as apposed to the chalky gray ones my first time around). It also made me remember the reason I started using an 8x10 in the first place—the simplicity of it all. Here are two of the prints I made last night. 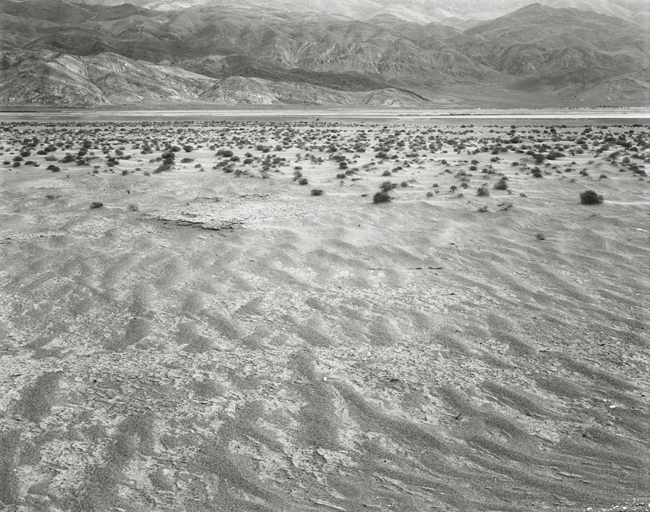 Both are from my most recent trip the Owens Valley. Owens (dry) Lake near the Lower Owens River Project Pumpback Station and Delta Area. It will be interesting to see how this area changes in the next few years. There are no plans to refill the lake, and much if it is levied off for the dust mitigation program. There is, though, a small continuous flow of water to support the delta wildlife habitat area.